I have been trying Minecraft since last year and I just started getting login errors this week. 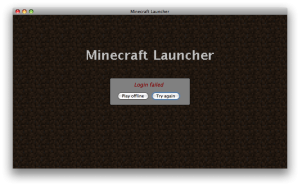 You open Minecraft, enter your Username and Password, then get the Login failed window. Searching Google for this problem I came up with posts about passwords being hacked/stolen. So I diligently went and reset my password. 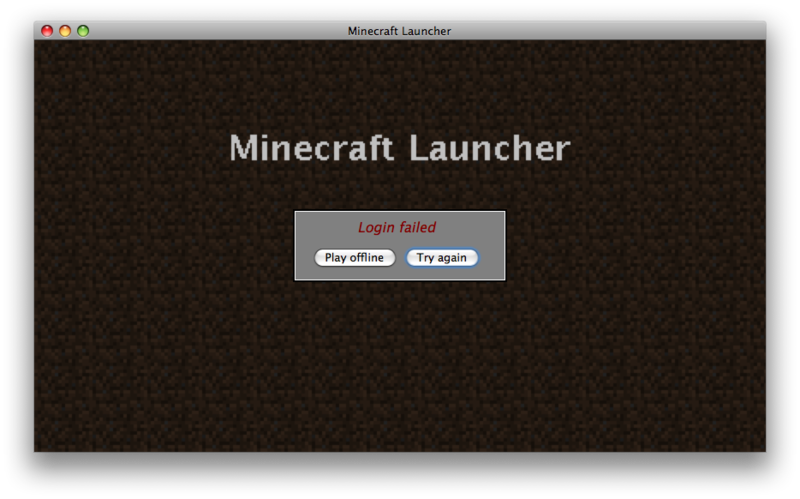 After which I was about to login to the Minecraft site, but still getting errors from the Minecraft game! And if you try to report it on the support page failed, nothing appears if you click the My account was hacked button! With nothing else seeming to work I downloaded the game again. 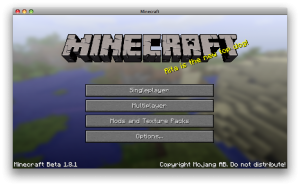 Starting the new copy of Minecraft I found it was 1.8.1, with a slight change in login interface, and it accepted my username/password combo. It would appear that the problem is that Minecraft 1.7.3 can no longer login. And also is not downloading the update to 1.8. You have to go do it yourself. This should really have been handled better by the developers. If people expect Minecraft to update itself and it just fails to login you are going to have quite a few people panic. Developers, please think about providing better error messages next time. This entry was posted in Games and tagged computer games, game, Minecraft. Bookmark the permalink.